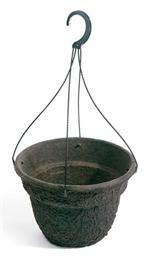 Premium molded fiber hanging baskets and nursery containers for healthier plants. Biodegradable and compostable. Western Pulp 16" Garden Basket Hg. Assm. Western Pulp 18" Garden Basket Hg. Assm.